Information Articles - Movement Of Rodeo Stock For The 2008 Season - Ownership Identification Inc.
OII in conjunction with the BC Rodeo Association and the Ministry of Agriculture and Lands office have developed a probationary arrangement with reference to movement of rodeo stock for the 2008 season. 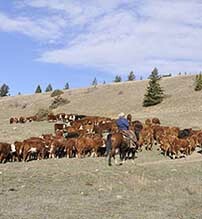 Rodeo stock contractors or livestock suppliers must purchase a seasonal permit, before transporting livestock into or out of brand inspection areas. 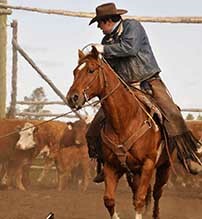 OII brand inspector(s) will conduct a onetime inspection of all rodeo stock, including cattle and bucking horses which the contractor/supplier intends to use at any events during the designated season. All inspected livestock shall be identified on the Livestock Transportation Certificate, which must accompany movement of such livestock at all times throughout the season. Regular inspection fees are applicable. Season Permit information including annual fees, terms and conditions and actual application forms are available through the OII office. The 2008 season shall serve as a probation period in an attempt to move forward in satisfying the needs and interests of all parties.